I very much enjoyed my visit to the Torbay Musical Weekend on 16 November thanks to the invitation from John Isaac (Chair), Maureen Greenhouse and all the committee. 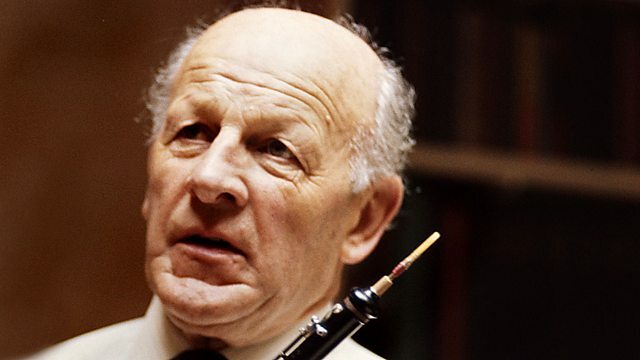 My presentation on the legacy of Léon Goossens was a chance to make use of Jeremy Polmear’s fantastic recordings for Oboe Classics and to play other tracks by great British players from Goossens’ time to the present day. It’s amazing to hear Goossens’ magical playing and to share this with others – what he did for the oboe really was extraordinary. I seized the chance to play the Brahms Violin Concerto solo on the old Lorée (similar to Goossens’) that I bought from Quentin Poole years ago – to show how different the sound and feel is to a modern oboe, in the case my Howarth XL. I also took the opportunity to weave in my work on Britten and, on this occasion, the Temporal Variations. My presentation was followed by John Isaac’s own selection of recordings across genres and years – a touching hour with perceptive comments.